The accounting requirements for companies have significantly increased in recent years. Our accounting firm offers services throughout Germany. Clients located in Munich or the Munich area can visit us in our office at the Isartor. 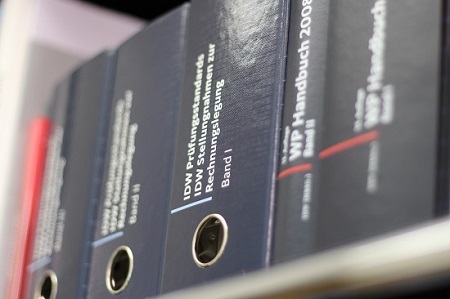 In order to establish different levels of requirements for the preparation, audit, and publication of single entity and consolidated financial statements, certain size criteria were incorporated in the German Commercial Code and the Publicity Law, in addition to the differentiation according to the legal form of an entity. Further, single-entity financial statements of corporations which are subsidiary companies of a parent company that is required to prepare consolidated financial statements do not require a statutory audit and publication if certain criteria are met. The most important ones are the inclusion in consolidated financial statements prepared according to the provisions of the German Commercial Code or IFRS and the legal or contractual obligation of the parent company to absorb annual losses of the subsidiary company, if any. Continuity of form of presentation and classification of items compared to prior financial year. Presentation of comparative figures for the prior financial year. Notes regarding items belonging to more than one heading. Change of basic classification, if appropriate. Option to add new items, if appropriate. Option to eliminate items with no current and prior-year amount. Combination of headings for immaterial amounts or to improve the clarity of presentation. the type and amounts of contingent liabilities in the notes to the financial statements instead of on the face of the balance sheet. In order to avoid overloading the balance sheet and to improve the clarity of presentation, there is a strong tendency to put as many disclosures as possible into the notes, where optional, and also to use the legal options to combine headings in the balance sheet with supplementary analyses in the notes. Assets are shown according to increasing liquidity, i.e. highly liquid assets are shown at the bottom of the balance sheet instead on the top of the balance sheet. No clear segregation between current and non-current obligations on the face of the balance sheet. Regarding liabilities this information can be derived from the disclosure of remaining terms of liabilities, but no such information is required for accruals. The basic formats of the income statement are incorporated in Section 275 of the German Commercial Code. They apply to the single-entity as well as to the consolidated financial statements. The income statement must be presented in a vertical form following either the “type-of-expenditure” (“Gesamtkostenverfahren”) or the “functional” format (“Umsatzkostenverfahren”). The traditional format for the income statement in Germany, the type-of-expenditure format, is a production-oriented presentation. According to the underlying philosophy, the measurement of the performance of a company is not only sales but also inventories produced or taken from stock, as well as the value of internal resources used to create or improve fixed assets. Accordingly, the change in work-in-progress and finished goods as well as own work capitalized are disclosed separately. Together with sales, they make up the “gross performance” for the year. As a further typical characteristic, income and expense items are disclosed according to their type, irrespective of where they were incurred, and include the complete period expenses instead of cost of sales. The “change in work-in-progress and finished goods” line represents the difference in values compared with the previous year. Thus, the amount disclosed includes changes in units, in prices, and in allowances. Own work capitalized represents the production cost of additions to fixed assets that have been produced by the company itself and consequently caused material, labour and other production costs included in period expenses. Material costs must be broken down into cost of raw materials, consumables, supplies, and purchased merchandise, as well as cost of purchased services. Personnel expenses must be split into wages and salaries, social security, and pension costs. Depreciation must be split into usual and unusual portions, if any. The latter refers only to depreciation on current assets to the extent that it exceeds a level, for example, a percentage or absolute amount, that is deemed to be usual for the company. Because it remains doubtful as to what exactly is to be understood by the term “usual”, particular attention should be paid to the explanations in the notes. Separate disclosure of income from participations, particularly from those in affiliated companies, is required within the financial results caption. Although not required by law, it is common practice to disclose income or losses resulting from income and loss pooling contracts separately. Such contracts are mostly concluded in order to arrive at taxation on a group basis. Taxation must be split into income taxes and other taxes. Deferred tax expenses need not be disclosed separately.Although netting of income and expenses is not allowed in general, some important commentaries consider it to be acceptable or even preferable to net income from reversal of tax accruals or tax refunds with the tax expense of the year, since it is regarded as misleading to classify that income as “other operating income”. The alternative format for the income statement in accordance with the German Commercial Code is the “functional” format which was implemented into German accounting law by the transformation of the 4th and 7th EU directives back in 1985. Since then this format gained increasing importance in Germany, especially as the traditional German “type-of-expenditure” format does not fit into international accounting principles such as US GAAP. Under IFRS, however, the “type-of-expenditure” format is an allowed option. According to the philosophy behind the “functional” format, the measurement of the performance of a company is primarily sales. Consequently, the change in inventories and own work capitalized are not disclosed separately. Instead, expenses are mainly structured according to the “cost centers” or functions where they are incurred. The notes form an integral part of financial statements. As with international practice, notes provide additional information for the interpretation of the balance sheet and income statement. Furthermore, they fulfill a replacement function, since they contain information that otherwise would need to be incorporated in the balance sheet or income statement. While small corporations are allowed to present and disclose their balance sheet in the above condensed format, all other companies must break down the subheadings into various prescribed items. The basic format of the balance sheet for single-entity and consolidated financial statements is presented in Section 266 of the German Commercial Code ("HGB - Handelsgesetzbuch").